Hi Everyone!! I just wanted to get in here and write a review on this book. I received this book to write a review. The opinions are of my own, no influence on other parties are directing my opinion. My first thoughts of this book was that it was so small and lightweight . I really liked that because not always is it easy for me to carry a book. The opening devotional was Focusing on Jesus; I think of how often in our busy days how distracted we can get. How quickly can our eyes turn from being focused on Jesus and focused on something else. How long does it take us to refocus our eyes on Him? This devotional was a great find. I am glad that I was able to receive it. 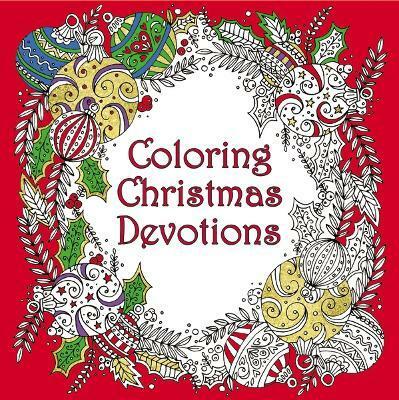 The pictures for coloring were appropriate to the devotional and some more intricate than others. This would be a nice gift at Christmas time. I already have plans for this book of who will receive it, but I am not going to reveal here in case they are reading and think they have figured it out. I really like to keep people in suspense of what I am up to next.